Diet Sodas -- Bad for Your Health? Carbonated Sodas - Are They Turning Your Blood to Acid? 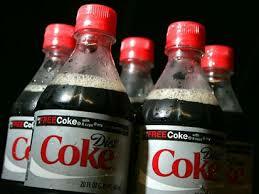 Diet Coke and Coca Light --Do They Actually Increase Your Waist Size? you to eat more and gain weight. quench your thirst as well as water. in turn lead to less exercise. arthritis pain due to de-mineralization of your bones. additives used in diet soft drinks. blood pressure and heart disease. between diet sodas and heart attacks. diet sodas and heart attacks. answered with an absolute, bold NO. 5. Caffeinated Soda Has Been Linked to Lower Sperm Count. Coca-Cola Can Dissolve Stomach Blockages? Do you drink diet sodas?